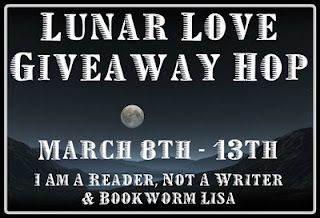 Thanks to I Am A Reader, Not A Writer & Bookworm Lisa for hosting this Hop. Although I love the paranormal genre, I thought I'd give away a GC so you can pick out your favorite! So here at Book Liaison you can enter to win a $10 Amazon or Barnes&Noble Gift Card.